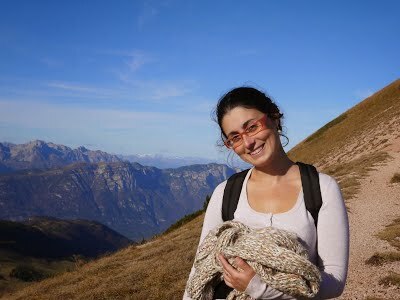 I’m Angeliki, a senior research scientist at DeepMind. Before that, I was fortunate to be a graduate student of Marco Baroni working on grounded language learning at the CLIC Lab of the Center for Mind/Brain Sciences of the University of Trento, Italy (map). Before that, I did an MSc in Computational Linguistics at the University of Saarland working with Ivan Titov and Caroline Sporleder on Sentiment Analysis, supported by an Erasmus Mundus Masters scholarship in Language and Communication Technology (EM-LCT). And before that, I was a Computer Science BSc student working with Georgios Paliouras on Sentiment Analysis. I co-organized two workshops, the Wordplay aiming at bringing bridging Reinforncemnt Learning and Language research through text-based games and the 2nd edition of the Emergent Communication Workshop. I gave an invited talk at the ViGIL workshop where I talked about my work on multi-agent communication! February 2017: Our work on grounding multi-agent communication got accepted as an Oral presentation at ICLR! January 2017: I joined Google DeepMind as a Research Scientist! December 2016: I recently spent some time at Facebook AI Research working on grounded multi-agent communication. Check out the associated pre-print. October 2016: Our work Multimodal word meaning induction from minimal exposure to natural text with Marco Marelli and Marco Baroni got accepted at Cognitive Science Journal. September 2016: We are organizing Machine Intelligence Workshop @ NIPS 2016. Abstract submission deadline October 9th. September 2016: We released the first prototype of CommAI-env, an environment meant to stimulate the development of communication-based AI. August 2016: Check out LAMBADA, our new text understanding dataset, with humans scoring 100% and SoA 0%.